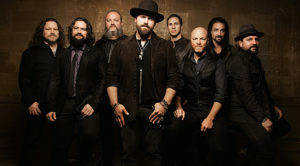 Zac Brown Band kicked off its sixth headlining U.S. concert tour this month at Hartford’s XFINITY Theatre. The “Black Out the Sun” tour name come from a lyric from “Tomorrow Never Comes,” a tune on last year’s Jekyll + Hyde. Easily the band’s most eclectic effort, Jekyll + Hyde debuted at No. 1 on Billboard’s Top 200 chart, earning the band a 2016 ACM nomination for “Vocal Group of the Year.” Singer-keyboardist-guitarist Coy Bowles phoned us from his Atlanta home to discuss the tour. Great. We have some new tunes and covers and stuff. Shows are going awesome. We’re getting into the meat of the tour in the next couple of weeks so we’ll be firing on all cylinders. 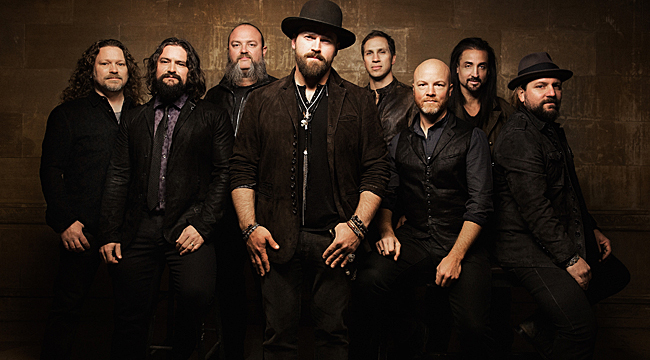 Talk about how you met Zac Brown. What were your first impressions? We met in college at the University of West Georgia in Carrollton. We were bumping around in that scene. It would be late ‘90s or early 2000s. Somewhere around ’99. We weren’t like best bros or anything like that. We didn’t go camping on the weekends together, but we had a mutual respect for each other. Back then, you could tell who would end up doing this at open mics. There would be dudes like Zac and I who would have a different atmosphere. I remember me and my buddy would go in there and play Allman Brothers’ tunes and Zac would go in there and play Shawn Mullins’ songs and singer-songwriter stuff. His voice would fill up that entire bar. It would be so loud—in a good way. Every crack and corner of this place would be filled by his voice. We would go up and sing and we would have to ask our friends to turn up the PA and give us a boost. They told us it was as loud as it goes. I don’t know how he does that. He has an ability to sing to the back lawn. Regularly playing live has always been important to the band. Talk about why it’s so important that you hit the road each year with or without a new album to support. I think that’s who we are. We’re also good at writing songs and doing albums, but you have to come see it live to see what that whole experience is about. When we first came out, we would do these radio shows. We would play a show that night and go to bed at 4 in the morning and wake up at 5 or 6. They would put us into this radio station and at the time, Brad Paisley and Alan Jackson and the people who wore cowboy hats and represented country music in that manner were the people who were big stars and still are. We would walk in with T-shirts and blue jeans and Zac would wear a beanie. We all had beards. The overall consensus of the radio station was, “What did we get into?” We would play “Chicken Fried” and “Highway 20 Ride,” and their jaws would drop. They would be like, “Whoa. You guys really play.” As time has gone on, we decided to dress the part more. That’s part of growing with the thing you’re doing. Talk about your approach to Jekyll + Hyde. It’s such an eclectic album. We always kind of teeter on it. On Uncaged, there’s some rock tunes. We try to push the boundaries during the live show. We’ll play Queen or something like that that people wouldn’t expect from us or from a country band. We never associated ourselves with being a country band per se. We grew up with it and have a deep relationship with it, but we just like to play good music. It’s not anything against anything. It’s just freeing to play different styles. We pride ourselves that we have such musicality. I have a degree in jazz so I spent five years listening to John Coltrane and Miles Davis. Other guys have done the same type of things. On this album, we arrived at the place where we might be able to get away with it. We thought that people might allow us to play a rock tune like “Heavy is the Head” with Chris Cornell and then go into “Mango Tree,” which is a big band tune like something Sinatra might do. We were a little fingers crossed when we released the album and hoped that people wouldn’t go, “What are they doing?” In the back of our minds and our hearts and our souls, we knew that the songs were good and the performances were good. Worst case scenario, there are so many songs on the album that if people didn’t like some there would still be others they were into. They can skip over the rock tune if they aren’t into it. Zac doesn’t want to do the same old thing. That’s risky. A lot of people aren’t risk takers when it comes to that. We do a good job as a band with coming up with some kind of concept. No matter how much success we’ve had, we’re still like, “I hope people like it.” I think that’s healthy. Pushing the boundaries and trying to expand your musicality is good. We think of our fans as fans who like music and not just specifically one style. You don’t want to underestimate your fan base. Our fans are smart people. They like music. They listen to the Eagles and Alan Jackson and Marvin Gaye. They listen to a lot of different stuff, so why not cater to that? It keeps you on your tiptoes. I’m not just playing country guitar all night. I’m playing a Les Paul through Marshall stacks and then jumping on organ to play a ballad and the playing slide guitar. It’s a musical workout for sure. And what about the collaboration with Chris Cornell? That song rocks really hard. We called him and told him we had a song for him. He was up for it. He’s one of the best rock ’n’ roll singers who ever lived. His career breakout with Soundgarden was when we were growing up and establishing what kind of music we liked as kids. When you meet these guys, they’re super cool. He knew the song. When we did SNL together, we didn’t rehearse for very long. He did his part and knew the song inside and out and was really pro. You hear him sing and think he could do that screechy thing once or twice and his voice would be fried. He barely sings and it sounds like he’s screaming. We don’t know how he does that. You’re covering a range of songs on the new tour. Tell me a bit about some of the covers. What inspired the decision to take on the Nine Inch Nails tune “Head like a Hole”? That’s been one of my favorite tunes ever since it came out. We wanted to throw out every tune we like. I don’t know how much our fans know the song. I would love to walk off stage and sit in the audience. A lot of times you’re in the moment so you don’t know. We tend to get a good reaction. The most amazing thing about that is when you realize the power of Trent Reznor. He was doing stuff in 1996 and 1997 that people can do on computers now. He could think in that way. He’s one of my all-time favorite musicians. I don’t know if he would think we do it justice. We have so much admiration for him and want to do a hat nod to him. Talk about your children’s book. You just published the second one. Yeah. Will Powers is out. I started writing children’s books because the idea of having any bit of a slice of fame was foreign to me since I was a real small town Georgia country boy. I want there to be an avenue to give back. This is my idea of being part of the solution. You’re either part of the solution or part of the problem. If you’re part of the problem, you’re just focused on you. If you’re part of the solution that means you give back in some way, whether it’s coaching your kid’s softball team or going to a retirement home to read books for people or picking up trash on the side of the road. It’s doing more than you should be doing and trying to make the world a better place. This is my way of putting good juju out into the world. You can’t go wrong helping kids. It’s been an awesome experience. I went in flat-footed, and the first book took two years to do. With the second book, I had an idea and concept and met the illustrator at the Cartoon Network in Atlanta. So far so good, there’s been a great reaction to the book and oddly enough I have written a third children’s book that comes out in January on Random House. It’s called When You Get Sick. I wrote it when I was in the hospital with my mom for three weeks. She had an event that came out of nowhere. I got to see what it was like to be in the hospital for a long time and how it’s daunting physically and emotionally. I wrote a story when I was there. It’s about how whether you have a common cold or a longtime illness having hope and being positive can help pass the time. I was stoked when I sent in the book and they were interested. When they said they wanted to move forward, I thought it would be awesome. I just had a conference call today about it, and I’m really excited. Helping sick kids be able to laugh or have a better day? I can’t think of anything better. What direction do you imagine the next album will go in? We’re tossing around ideas for that right now. It’s been a really cool process. We started this tour and we started suiting back up. Everyone started doing rehearsals and we would have a new tune that somebody had written and we’d toss it back and forth. Nothing has solidified yet. We’re passing around songs from different band members and trying to see what we’ll be doing. If it’ll be a concept or a wide variety like the last time or if it’ll be a rock album or a country album. This is my favorite part of the whole thing. It’s the quiet before the storm. Everyone gets ideas together and we get stoked about going back in the studio again.